This drunken strawberry shortcake with chocolate mint whipped cream is full of vodka and happiness! This post is a paid collaboration with California Strawberries! All opinions are my own. 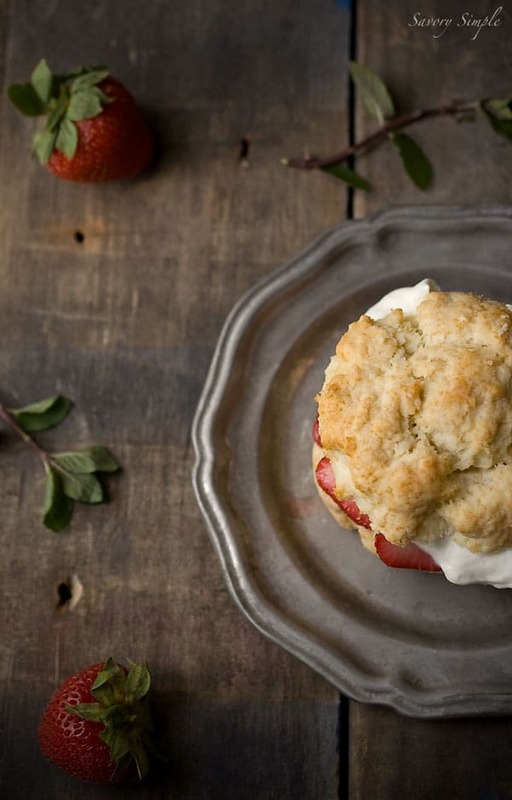 Strawberry shortcake is such a classic, isn’t it? When California Strawberries asked me to come up with my own spin on the dessert, my mind immediately went to booze. I’m not sure what that says about me but I do feel that alcohol is often the answer. Am I right? So I went to the liquor cabinet and surveyed my options. Whiskey, rum, gin, red wine, champagne and vodka. While I do think that champagne would have also worked wonderfully in this dessert I settled on vodka. I knew it would infuse a strong, neutral boozy flavor that wouldn’t overpower the strawberries. Because if you can’t taste the strawberries, what’s the point? Next, I wanted in infuse an herb into the whipped cream. I contemplated basil or lavender but my heart kept returning to my new chocolate mint plant. Chocolate mint doesn’t taste very different from standard varieties, which can easily be substituted in the recipe. But the flavor is slightly different and reminiscent of an after dinner chocolate mint. There’s really only a hint of chocolate. I paired my drunken strawberries and chocolate mint whipped cream with a tender shortcake recipe adapted from Dorie Greenspan. 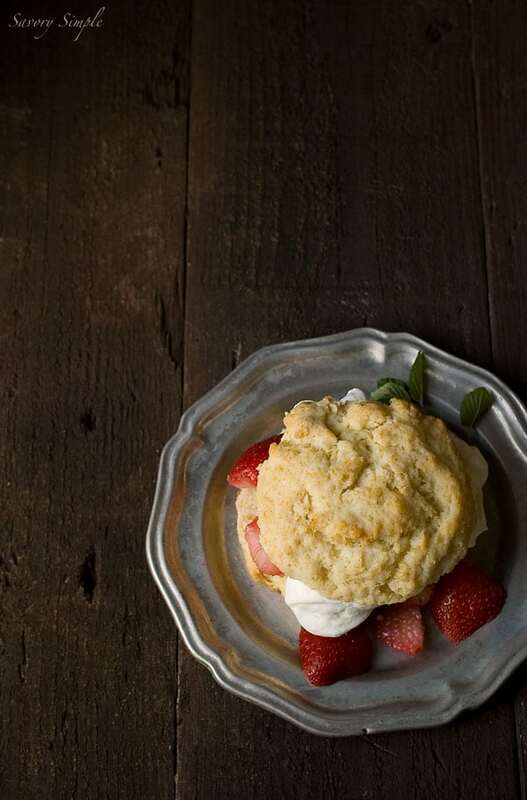 These delicate shortcakes have an amazing texture that work perfectly with the recipe. This drunken strawberry shortcake with chocolate mint whipped cream is full of vodka and happiness! In a medium bowl, stir together the strawberries, vodka and sugar. Cover and chill in the refrigerator for 1-2 hours, depending on how strong you want the vodka flavor. Drain (save the flavored vodka for mixed drinks). In a large mixing bowl, whisk together the flour, baking powder, salt and sugar. Add the butter and use either a pastry blender or your fingers to incorporate the butter and dry ingredients. The pieces can range from pea sized to coarse cornmeal. Pour the cream into the bowl and use a fork to incorporate it into the dough. The less the dough is worked, the softer the final product will be. Kneed the dough briefly if necessary and a few additional tablespoons of cream may be added if it needs help coming together. Bake for 15-18 minutes, rotating the baking sheet halfway through. In a small saucepan, bring the sugar, water, and chocolate mint leaves to a boil over medium-high heat. Cook until the sugar is just dissolved and remove from the heat. Steep for 20 minutes. Strain the syrup through a fine mesh strainer into a small measuring cup. Make sure to press the syrup from the mint leaves to get the most flavor. In a large bowl, whisk the heavy cream until it reaches a soft peak. Whisk in the chocolate mint syrup. Slice the shortbread in half. Add a generous serving of the drunken strawberries followed by a dollop of chocolate mint cream. Serve at room temperature. You know, I don’t think I’ve ever had drunken strawberries before. I know. I’m pretty lame :D I’ll trade ya some of my shortcake for your shortcake. The title alone sucked me in! It looks amazing! I tasted chocolate mint a couple of times in past and I find it so much like pepper mint. 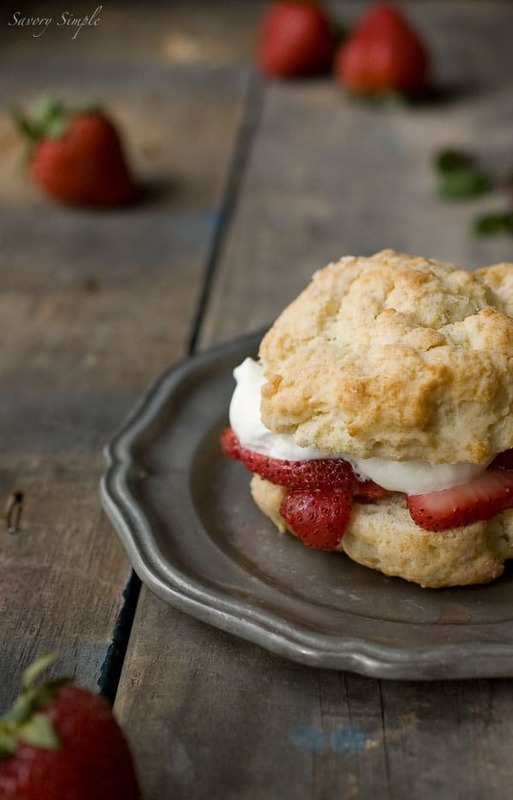 That is a great choice for the shortcake and with strawberry it would go pretty well. Lovely blend of flavor! Wow, you just took my favorite dessert to a whole other level! This looks AMAZING, Jennifer! Oh man how I want this big fluffy dessert so bad! Beautiful! Chocolate, strawberries and mint are three of my favorite flavors of all time so of course I love that you paired them here! 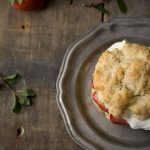 Plus, boozy shortcake – sign me up! You had me at “Drunken.” Can’t wait to try it! Thanks!